These KEEN Utility Men's 1011242 Braddock Cascade Brown Steel Toe American-Made Boots are quite simply the real deal. Why? Well, with the impressive list of features that are built for the real world of the work that you do, how could they not be? First up, they ... (see full details) (see specifications) #KEN1011242. These KEEN Utility Men's 1011242 Braddock Cascade Brown Steel Toe American-Made Boots are quite simply the real deal. Why? Well, with the impressive list of features that are built for the real world of the work that you do, how could they not be? First up, they're extra safe. With left and right asymmetrical steel toes, you can wade into any work environment and be sure that you’re sure footed when you wear these shoes. And they meet rigorous ASTM F2412-11 and F2413-11 I/75 and C/75 EH safety standards. That means you’re covered if you’re worried or concerned about getting an electric shock because of the steel in your toes. Don’t worry - these Cascade boots thought of that already. Next, this men's footwear is manufactured from waterproof nubuck leather, so they’re extra tough and they’ll keep your feet extra dry. Extra dry? Yes, because these brown boots also have KEEN Utility's very own dry waterproof, breathable membrane (KEEN.Dry membranes). So your leather stays in great shape, which is perfect for handling a long, hard working life. In addition these premium shoes are lined with hydrophobic/hydrophilic two zone comfort technology, too, so even on the insides, there’s more insurance against getting wet. And comfort is another important ingredient in what is a great pair of steel toe boots to own. The dual-density EVA footbeds of this USA-made footwear is not just metatomically designed to mold to your feet and give you an all-day feeling of freshness, but they’re removable, too, so when the long work day is over, take them out and give them some air. That way, you’re good to go and know that the next time you put them on, you'll be feeling fresh! And when they wear out, you can just slip in a new pair - no problem at all. These KEEN Utility Men's 1011242 Braddock Cascade Brown Steel Toe USA-Made Slip-Resistant Boots have a long, long life. Oh, and they’re American built. What more could you ask for? Order your pair from the Working Person's Store today. 5 out of 8 people found this product review helpful. Not trying to bash this product, I am sure it is a very good one. With that being said I am now on my third pair of boots and they are still too small. I normally wear a 9 1/2 EE and have a pair of 11EEs sitting in front of me that don't fit. Maybe 4th time is a charm with a size 12EE. First on sizing, I have read they can run on the smaller size so I ordered up 1/2 size, fit perfect. I work Construction Management based out on job sites. I am on my feet for the majority of 10-12 hour days, these boots are very comfortable and are just what I was looking for lighter weight than typical work boots, for me more comfortable, waterproof, toe protection, and mostly leather uppers. These are assembled in the USA, not as preferable as entirely made in the US but it is a start. Time will tell about the durability, at this time I have no reason to doubt they will last. 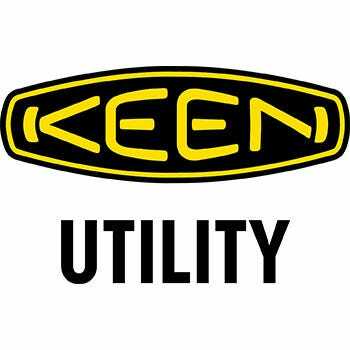 KEEN Utility 1011242 Men's Braddock Steel Toe Boots is being added to your cart.